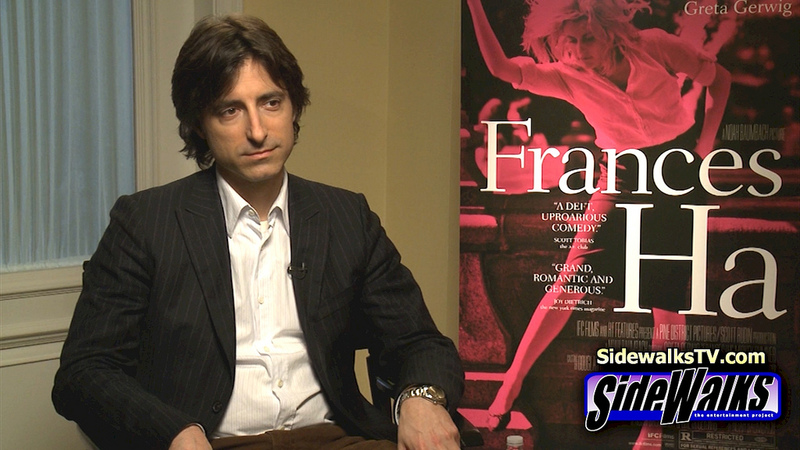 Indie scriptwriter Noah Baumbach began his career with a series of flopped college-comedies, a route that he now regrets, even to the point of ‘disowning’ a film and removing his writing and directorial credits. However, upon working with Wes Anderson on ‘The Life Aquatic with Steve Zissou’ and ‘Fantastic Mr. Fox’, his career was propelled into the public eye, and offered more funding for bigger projects. The semi-autobiographical, ‘The Squid and The Whale’ became his breakout film starring Jeff Daniels, Laura Linney and Jesse Eisenberg, and he gained an Oscar nomination for Original Screenplay it. Since then, his films have been characterised for their trademark intellect, fast-paced dialogue and minimal plot. This is why I am such a big fan of his films, he is able to find both humour and drama in the mundanities of everyday life. I find watching his realistic characters so engaging, as they encounter identifiable situations and present moral problems. You can learn a lot about your own life through Baumbach’s intelligent screenplays. He continued throughout the noughties producing critically acclaimed indie productions like ‘Margot at The Wedding’ and ‘Greenberg’. But it wasn’t until he began dating equally quirky actress Greta Gerwig, also from the Mumblecore movement, that he really started getting noticed for his stand-out talent. She starred as the lead in ‘Frances Ha’, his biggest film to date, which has become a particularly successful Netflix hit. Whilst deserved, this success is also surprising considering Baumbach made the decision to shoot Frances Ha in black and white. This aesthetic contrasts superbly with the crazy dynamics of the two leads, struggling with life in Brooklyn. I find the script of Frances Ha to be so beautiful and memorable, and representative of the struggles of millennial life. His partnership with Gerwig continued into the 2015 comedy ‘Mistress America’, my personal favourite of his films. This runs along a similar theme of young adults struggling with life in a big city with no money, and he manages to interweave nuggets of comedy into every scene, in such a subtle way that it is not noticeably trying to be comedic. I tire of watching mainstream blockbuster comedies because it is obvious when the comedic lines have been forced into the script, it comes across as unnatural and clunky. In addition, most mainstream comedy films have ridiculously unrealistic plots, and it is just accepted as a norm of the genre, that any character can stumble upon a situation where they no doubt are forced to get naked, spend large sums of money or wrestle with animals. Noah Baumbach defies this convention and finds the funny side of real situations and crises we face every day. Due to the success and critical acclaim of his older films, Baumbach has gradually started to be appreciated by mainstream audiences, and his latest films have been distributed as wide releases. ‘While We’re Young’ bagged Hollywood stars Ben Stiller and Naomi Watts as leads, who presented his unconventional script with justice alongside Baumbach regular Adam Driver. And his latest film ‘The Meyerowitz Stories’, starring Adam Sandler, Ben Stiller and Dustin Hoffman, was even taken up as a Netflix original, a sign that Baumbach has finally made it. Yet, I have faith in him, that even though he is finally being seen by wider audiences and is gaining more funding for his projects, he will remain faithful to the Mumblecore movement and not give into the pressure to litter his scripts with room for special effects, celebrity cameos and animal-based fight scenes!